Vicodin is the brand name of a prescription medicine used to treat moderate to severe pain. It is a hybrid drug, being a combination of a well-known opiate pain medication and an over-the-counter analgesic. The drug is also marketed under the brand names Norco and Lorcet. It can be inhaled, injected, or taken orally as a tablet or liquid. The generic name for Vicodin is hydrocodone/paracetamol. Its dual name is indicative of the fact that the drug is a combination of two other drugs. The hydrocodone component is an opiate pain medication that is only available in the UK by prescription. As for paracetamol, it is an analgesic you might also know as acetaminophen. Paracetamol is an over-the-counter (OTC) pain medication that you can buy at any pharmacy or supermarket. Combining hydrocodone and paracetamol into a single drug offers the ability to treat moderate to severe pain with a drug that is considered less potent and less likely to be abused than straight opiates. However, the strength of the two drugs in combination influences whether Vicodin actually accomplishes that goal. One formula could have a higher strength of hydrocodone while the ratio between the two drugs is more balanced in another formula. Vicodin’s ability to relieve pain makes it an important tool for doctors looking to help patients manage the pain of surgical procedures, accidents, and disease. As such, the drug is most often used under the supervision of a doctor by way of a prescription written based on the needs of the patient. Like so many other pain medications though, there are some individuals who start with a legitimate Vicodin prescription before transitioning to abuse and addiction. There is no single cause of Vicodin abuse and addiction that medical science knows of. However, there are several risk factors that have been linked to the problem. These are family history, mental illness, brain response, and the environment. Each of them is explained later in this guide. For now, it is enough to know that Vicodin abuse and addiction are not limited to a particular demographic. Anyone who begins using the drug on either a prescription or recreational basis has the potential to abuse the drug. And once Vicodin abuse starts, the risk of addiction becomes very real. Regardless of the cause, Vicodin abuse and addiction can be treated in a medical setting. We now understand addiction to be a brain disease, allowing us to view it through the lens of medical treatment – both physical and psychological – rather than behaviour modification alone. Vicodin is a drug that doctors in the UK are hesitant to prescribe for extended periods of time. They prefer to use other pain relievers whenever possible. How Can Vicodin Be Addictive? Vicodin presents a real conundrum if you do not truly understand how abuse and addiction are related. It is not uncommon for people to wonder how a prescription medication approved by multiple health organisations around the world can be so highly addictive. But that is the reality of Vicodin. Despite the drug being a combination of hydrocodone and paracetamol – a combination you might think is less addictive than straight opiates – it is still highly addictive. Note that any psychoactive drug being abused by a user can lead to eventual addiction. In the case of Vicodin, it alters brain functioning by interfering with neurotransmitters and influencing the production of certain brain chemicals. Abusing Vicodin long enough will have such a profound effect on the brain that addiction becomes inevitable. One of the appeals of Vicodin is its ability to create feelings of euphoria even as it blocks pain signals in the brain and spinal cord. Such feelings form the foundation of addiction in some people. It is all due to the relationship between how Vicodin affects the brain and how a person’s reward centres are stimulated as a result. An addict is driven by the feelings Vicodin produces. Those feelings are associated with both pleasure and coping, both of which are very strong motivators to continue using Vicodin despite knowing the dangers of doing so. There is not a lot of hard and fast data relating only to Vicodin use in the UK. Because Vicodin is mostly hydrocodone (an opioid), any statistics related to it are generally lumped in with other opioids including morphine, oxycodone, codeine, and fentanyl. Nonetheless, opiate abuse statistics are both surprising and useful. The number of people in England treated for opiate poisoning has more than doubled in the last 12 years. The number of opiate prescriptions in the UK rose from 12 million in 2006 to 24 million in 2016. In 2017, experts estimated that some 192,000 Brits could be dependent on prescription painkillers. Hydrocodone is among the top 10 drugs in the UK with the highest growth rates relating to abuse. Global statistics clearly demonstrate that Vicodin abuse and addiction are largely American problems. But it is a growing problem here as well. Vicodin is easy to get on the dark web or on the street, and anyone who gets it by way of a legitimate prescription instantly has access to more prescriptions in the future. Opiates have been used as legitimate medications ever since morphine was first synthesised back in the early 19th century. Today, opiates are prescribed mainly to help treat moderate to severe pain. Drugs like Vicodin and morphine are very effective for people recovering from surgery, for example. 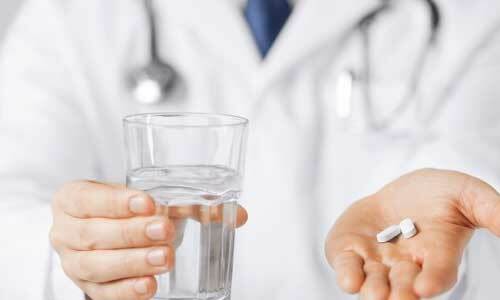 Opiates are sometimes prescribed to control pain during rehab or after an accident. They can also be prescribed to control the pain associated with heart attacks and cancer. Less frequently, doctors prescribe opiates to treat chronic anxiety or to relieve chronic diarrhoea or coughing. It turns out that opiates are prescribed less in the UK as compared to many other countries. Where the US is by far the largest consumer of opiate prescriptions, the UK doesn’t even rank in the top 20. That’s good news. Still, though, the slow rise in opiate prescriptions here may be contributing to its corresponding increase in opiate abuse and addiction. UK doctors are concerned enough about the addictive nature of Vicodin that they try to avoid prescribing it. They will look to other pain medications first, turning to Vicodin as a last resort. It can be hard to understand Vicodin abuse if you have never used a prescription painkiller before. That lack of understanding is only exacerbated by the knowledge that the vast majority of Vicodin users never abuse the drug. So why do so few people abuse Vicodin as compared to the total number of people who use it? Painkillers are a unique kind of medication that do what they do by blocking pain signals in the brain and spinal column. Narcotic painkillers, like Vicodin, rely on interacting with opiate receptors to block those signals. Unfortunately, it is not possible to bind and activate opiate receptors without affecting the brain. Vicodin abuse is always a possibility when a person begins using the drug to control pain. If it is used long enough, the person may begin developing tolerance. That would lead to the patient using more Vicodin to control the pain. As tolerance increases, so does the potential for abuse. Vicodin abuse among recreational users might be even more difficult to understand. Why would someone even begin using the drug if the pain is not a problem? What is it about an opiate painkiller that makes it attractive to people who don't really need it? The answer to these questions lies in how Vicodin stimulates the pleasure centres of the brain. All of us find certain experiences more pleasurable than others. That sense of pleasure dictates what we like to do on a day-to-day basis. You might like sports so much that you spend time every day following your favourite teams or athletes. Your partner may put just as much effort into a pursuit of the arts. You both do what you do because you find the experience pleasurable. A person struggling with Vicodin abuse derives pleasure from the drug, much the same way you or I might derive pleasure from some other experience that does not involve drugs or alcohol. The amount of pleasure derived from Vicodin plays a crucial role in determining whether a person will abuse it or not. There is a lot about Vicodin abuse that medical science still does not fully understand. What we do know suggests that any measure of abuse among either prescription or recreational users is sufficient reason to seek out professional help. The growing knowledge of how drug addiction works has led medical science to a greater understanding of the differences between tolerance and dependence. In short, the two conditions are separate and distinct in many ways. If you are struggling with the Vicodin, you need to know what tolerance and dependence are. You need to know how both could potentially lead to addiction. Tolerance is a physical condition relating to the use of all kinds of substances. In the case of Vicodin, you might be prescribed a certain dosage to be taken daily while you are recovering from surgery. When you first start taking the drug, it works very well. It does its job by interacting with opiate receptors to block pain. As time goes on though, your brain gets used to the amount of Vicodin normally in your system. The result of the brain’s reaction is that the drug is less effective. This is the very definition of tolerance. Your brain has learned to tolerate Vicodin to the extent that the drug no longer works as well as it did. Therefore, you have to take more in order for it to work. Tolerance is a definite precursor to Vicodin abuse. It follows tolerance if a user continues to abuse the drug without some sort of medical intervention. Dependence is a physical and psychological condition resulting from the brain getting used to having the drug in the system. A person reaches a state of dependence when his or her brain becomes so accustomed to Vicodin that it cannot function properly without it. Again, there are two types of dependence: physical and psychological. Physical dependence results in the body craving Vicodin and experiencing certain withdrawal symptoms between doses. Psychological dependence is a condition in which the mind of the user is convinced that it cannot cope with life unless Vicodin use continues. Neither tolerance nor dependence is indicative of addiction in every case. You can develop tolerance to Vicodin without becoming dependent or addicted. You can be dependent on Vicodin without being an addict. Addiction is a separate and distinct condition through which the user has lost all ability to control him or herself. He or she continues to use Vicodin despite knowing the harm it is causing. Having said that, note that leaving Vicodin tolerance and dependence untreated opens the door to addiction. You should definitely seek medical treatment if you believe you are Vicodin tolerant or dependent. People struggling with Vicodin can ask their doctors for different drugs to control pain. The substitute medications are divided into four distinct categories beginning with nonsteroidal anti-inflammatory drugs (NSAIDs). These are drugs like ibuprofen, aspirin, and naproxen. They are particularly good medications for relieving pain, reducing inflammation, and treating fever. The downside of NSAIDs is that they can cause a variety of side effects that are not necessarily good for the cardiovascular or gastrointestinal systems. Any such reactions to NSAIDs would lead a doctor to look for another substitute. The next category of substitute drugs is general analgesics. These are pain medications that offer fairly reliable pain relief without the cardiovascular or gastrointestinal side effects of NSAIDs. The most common general analgesic is acetaminophen, also known by the brand Tylenol. Next are antidepressant medications like amitriptyline and imipramine. These are tricyclic antidepressants that are remarkably effective for relieving pain. They work by slowing down brain signals. Patients who do not respond well to tricyclic antidepressants can be prescribed one of two other kinds of antidepressants known as selective serotonin reuptake inhibitors (SSRIs) or serotonin and norepinephrine reuptake inhibitors (SNRIs). Finally, drugs used to control seizures are also good alternatives to Vicodin. People suffering from the pain of diabetes, shingles, and even fibromyalgia can be treated with anti-seizure medications including gabapentin, pregabalin, carbamazepine, and phenytoin. In a withdrawal setting, doctors may substitute Vicodin with another opiate before slowly weaning the patient. Certain NSAIDs have also proven effective for Vicodin withdrawal. Do not assume that Vicodin is a harmless drug because it is available by prescription. Abusing it comes with very real dangers – like the potential for tolerance, dependence, and addiction. Additional dangers are introduced when a person becomes addicted to Vicodin. Those dangers are physical, psychological, and social. 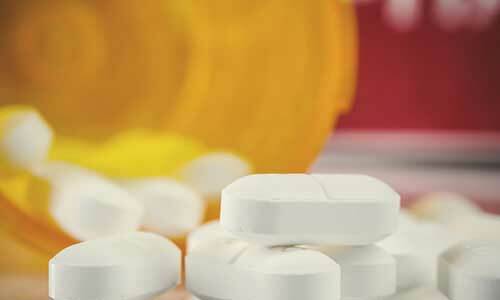 Physically speaking, Vicodin addiction can lead to liver damage. An unfortunate reality of liver damage is that it is hard to correct once it occurs. Moving on, long-term Vicodin use can lead to increased pain sensitivity, vision problems, and seizures. Some people who abuse Vicodin never fully recover from the damage done to their bodies. Consider the real dangers of losing your balance and motor skills while under the influence of Vicodin. Driving while on the drug could lead to an accident. Any number of things could happen, things that might even result in serious injury or death. Psychological dangers associated with Vicodin addiction include both clinical depression and anxiety. Vicodin addicts can develop excessive mood swings that, in some cases, could lead to anything from erratic behaviour to outright violence. This leads right into the third area of danger: social experiences. Vicodin addiction puts all your social interactions in danger. 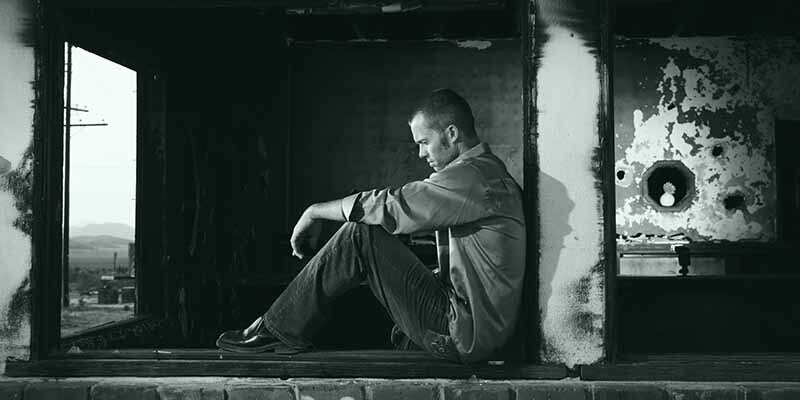 Addiction can tear your family apart and alienate you from your partner and children. It can lead to social isolation. It can cost you your friends and all your working relationships. Vicodin addiction could leave you all alone even though there are people all around you. Although Vicodin overdose is always a risk, it is rare among patients using the drug strictly as recommended by a doctor. Overdose is more common among people who use Vicodin recreationally or go above and beyond what their prescriptions call for. When a person does overdose on Vicodin, it is a medical emergency. Vicodin overdose is recognisable by way of a number of physical and psychological symptoms. At the top of the list is breathing difficulty. Chest pain may or may not accompany breathing problems but, when it does, it needs to be addressed by medical personnel right away. Someone who has overdosed on Vicodin may also exhibit a yellowish complexion and muscle pain, especially in the abdominal muscles. That person may exhibit erratic behaviour punctuated by angry outbursts. In the most serious cases, overdose can result in a loss of consciousness. Other, less obvious symptoms of Vicodin overdose include confusion, general lethargy, nausea and vomiting, cramps, and loss of appetite. If you were to recognise such symptoms in anyone you knew who was using Vicodin, it would be legitimate cause for concern. The positive in all of this is that Vicodin overdose can be successfully treated if a patient gets medical attention early enough. Overdosing on Vicodin is risky. Because of how the drug affects the body, serious injury or death is always possible unless the person gets immediate medical attention. The most serious risk of overdose is a condition known as hypoxia. This condition occurs when the brain is starved of oxygen. One of the natural side effects of Vicodin is reduced respiration. The lower a person’s respiration rate, the less oxygen in the blood. Overdose can reduce respiration to such a low degree that the brain does not get enough oxygen. This is hypoxia. It can lead to short-term, long-term, or even permanent brain damage. This explains why doctors and nurses focus so much on a patient’s breathing during an overdose episode. Maintaining normal respiration is a critical factor in preventing permanent brain damage. Another serious risk of Vicodin overdose is cardiac arrest. Muscle relaxation can be so profound that the heart simply stops beating. A lack of immediate medical attention for cardiac arrest is likely to result in death. A person exhibiting any of the signs of Vicodin overdose is a good candidate for immediate emergency medical care. 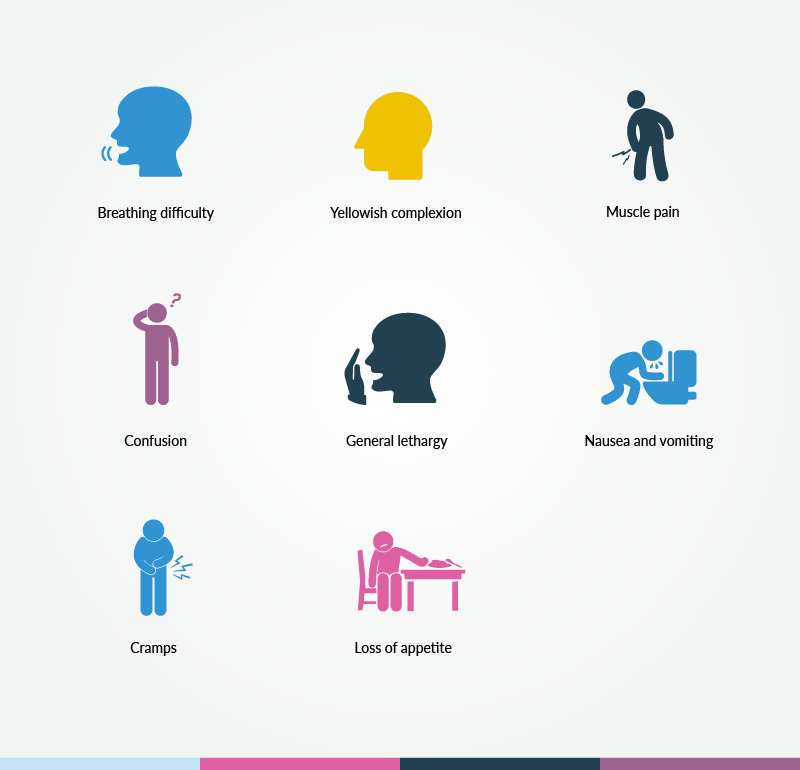 The more serious the symptoms, including respiratory distress and loss of consciousness, should not even be questioned. The patient should immediately be taken to A & E.
In terms of seeking medical care for Vicodin abuse and addiction, it is a matter of learning to recognise the warning signs of both conditions. Although those warning signs are not indicative of a medical emergency, getting medical help for abuse and addiction is still important. If you or someone you know is exhibiting the signs of Vicodin abuse or addiction, please get some help. You can learn more about those warning signs here on our website. Most of the street names are in some way related to the Vicodin brand or its Norco and Lorcet counterparts. For example, the two 357 designations are related to the imprint on a branded tablet. The ‘lorries’ name is a direct reference to the Lorcet brand. Other street names are derived from the effects the drug has. That is where the Scratch and Fluff names come from. Many factors go into Vicodin abuse and addiction, including family history. It is well documented that people with direct relatives known to abuse drugs are more likely to abuse Vicodin if given a prescription. Abusers with a family history of addiction are also more likely to eventually find themselves addicted to the Vicodin they are using. Those at greatest risk have first generation family members (mothers, fathers, siblings) who also abuse drugs. It is believed that because addiction is both a physical and psychological disease, some people with underlying mental health issues may be more susceptible to abusing and being addicted to Vicodin. This could explain the incidence of dual diagnosis scenarios in Vicodin treatment. In some individuals, the use of Vicodin to control pain may also influence the brain's reward centres to the degree that abusing the drug becomes a serious temptation. We already know that pleasurable feelings are a strong motivator in drug abuse. People sometimes use Vicodin to escape the world around them. Their environments are so stressful that they look for something to relieve the stress. Users may eventually discover that they are unable to cope in any other way. Given the fact that 99% of all Vicodin is consumed in the USA, there is scant statistical data to tell us the prevalence of abuse in the UK, or around the world for that matter. Vicodin abuse is a growing problem. More people are using Vicodin for reasons other than pain management. According to data from 2012, roughly 142 million Vicodin prescriptions were dispensed in that year. More recent statistics suggest that Vicodin abuse rates have quadrupled over the last decade. It is estimated that some 2 million individuals are suffering from some level of Vicodin dependence and/or addiction. Because of the substantial risk of addiction associated with Vicodin, the US FDA advised in 2009 that the drug be taken off the market. It was restricted as a result, but never completely taken away. Today, Vicodin abuse continues to be a huge problem in the States. We are much more reticent about prescribing Vicodin and other opiates in Europe, so our abuse and addiction rates are estimated to be much lower. In a May 2017 report on opiate abuse in the UK, author Mark Greener suggested that we may be in for our own opiate crisis if we follow the example of the US. Greener cited 2015-16 statistics from England and Wales that suggested some 7.5% of adults between the ages of 16 and 59 had taken a prescription painkiller that was not originally prescribed to them. He went on to cite other statistics that show a measurable rise in prescription drug abuse covering everything from opiates to benzodiazepines. It would be unwise for us to assume that a lack of statistical data means that Vicodin abuse and addiction are not something we need to worry about. Depression – Clinical depression is a disorder characterised by a persistent state of low mood accompanied by a reluctance to engage in any kind of activity. Depression can manifest itself in a person’s emotions, behaviours, thoughts, and even sense of well-being. Anxiety – Anxiety is classified by the mental health community as a group of disorders characterised by serious feelings of anxiety and fear. People suffering from clinical anxiety often worry about both current and future events at a level that may seem excessive to others. Bipolar disorder – Sometimes referred to as manic depression, bipolar disorder is a mental disorder characterised by alternating episodes of mania (elevated mood) and depression. People suffering from bipolar disorder are known to have mood swings that can be excessive at times. Patients diagnosed with co-occurring disorders are said to have a dual diagnosis. 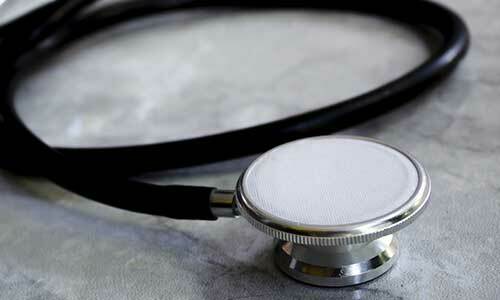 Making a dual diagnosis is not always the easiest thing for doctors to do. Why? Because some of the symptoms of drug abuse mimic mental disorders. Doctors have to determine if their observations indicate a true co-occurring disorder or just a symptomatic effect of abusing Vicodin. The challenge of co-occurring disorders as they relate to opiate abuse and addiction is determining the extent to which each one affects the other. Doctors and therapists must make every effort to treat both conditions simultaneously without risking making one of them worse. Moreover, not every addiction clinic in the UK is equipped to handle co-occurring disorders. There is a huge need to contact a qualified treatment centre if you or someone you love is suffering from co-occurring disorders. Failing to get the right kind of treatment could have wide-ranging consequences. Vicodin is an immensely powerful drug with sedating effects on the mind and body. It should always be used with caution Furthermore, it should never be mixed with other drugs with sedative effects. The first drug that comes to mind is alcohol. Mixing Vicodin with alcohol is a way to increase the sedating effects of both. But it is also a way to increase the deadly potential of reduced respiration and heart rate. You should never combine Vicodin with alcohol – no matter how little the alcohol volume is. Users should never mix Vicodin with other opiates either. Anyone thinking of taking Vicodin and heroin together, for example, should think twice. No level of euphoria is worth risking your life to experience. Remember that Vicodin also contains paracetamol (acetaminophen) in addition the hydrocodone. Mixing Vicodin with other over-the-counter acetaminophen products can lead to upset stomach and internal bleeding. Mixing the drugs over an extended amount of time could eventually result in stomach ulcers, liver damage, and more. In short, never mix up Vicodin with any other psychoactive drug. If you are using Vicodin under prescription, be absolutely sure to inform your doctor about any other drugs you are currently using. This includes over-the-counter drugs you may believe are innocuous. Only a doctor is qualified to say whether it is safe for you to continue using those other drugs while you are taking Vicodin. 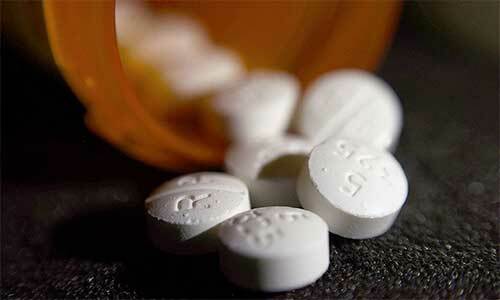 It is rare for patients using Vicodin under the supervision of a doctor to become addicted. But it is possible. Addiction is more likely among people who go above and beyond prescriptions or simply use Vicodin recreationally. Thankfully, there are successful addiction treatments available to Vicodin users. We offer residential treatment facilities across the UK offering excellent treatment programmes. Anyone suffering from Vicodin addiction can contact us to learn more about the many options. A comprehensive treatment includes a physical and mental evaluation, medically-assisted detox, rehabilitative therapies, and aftercare services. When residential treatment is not possible, Vicodin addicts can choose outpatient treatment provided both privately and publicly. Outpatient treatment is an entirely different model that might be better suited to some needs. 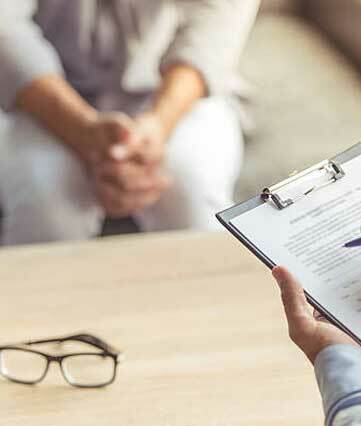 In the absence of a structured residential or outpatient treatment, Vicodin addicts can arrange for their own private counselling and attend support group meetings. The takeaway here is that treatment for Vicodin addiction is available. You just have to be willing to seek it out. A Vicodin addict will undergo detox as part of a comprehensive treatment plan. Detox in the modern era is both medically supervised and assisted, with patient health being the number one priority. If you would like to know more about Vicodin detox, one of our professionally trained counsellors would be more than happy to walk you through the details. One of the tell-tale signs of addiction is that withdrawal symptoms begin to appear between doses. If you are addicted to Vicodin, a withdrawal will be necessary for you to get well. Plan on it being part of the detox process. Overcoming addiction means permanently stopping Vicodin use, and stopping means you are going to have to go through withdrawal. The power of Vicodin as an addictive substance means it is very difficult for addicts to overcome their problem without going into rehab. No, it’s not absolutely necessary that you follow detox with weeks of rehabilitative therapies. But it is wise. Rehab addresses issues that detox cannot. Furthermore, rehab sets the addict up for a drug-free future by equipping him or her with knowledge and life skills. Any OTC medicine with psychoactive effects is subject to abuse and addiction. This includes Vicodin, hydrocodone, and other opiates. The mind and body can become so dependent on the medication that it becomes impossible for the user to live without it. So yes, misuse of OTC medications can lead to addiction. Overdosing on OTC medications can be treated at A & E through a variety of different means. More often than not, drugs are administered to either reverse the effects of the medication or prevent the body from absorbing any more of it. Sometimes it becomes necessary to induce vomiting. Finally, other medications may be used to counteract overdose symptoms like a respiratory and cardiac arrest. How can I spot Vicodin addiction? Spotting a Vicodin addiction requires knowing what signs to look for. Some of the more common signs are mood swings, an inability to concentrate, and bouts of dizziness and weakness. You can learn about all the warning signs of Vicodin addiction by researching the information here on our website. Note that there are both physical and psychological warning signs. Learn to recognise both. What is the goal of Vicodin addiction treatment? Doctors and therapists treat Vicodin addicts with the ultimate goal of helping them achieve a 100% drug-free state. Other potentially addictive drugs may be used along the way, but the goal is never to merely substitute one addiction with another. Vicodin treatment is intended to help the patient reach a state of abstinence, which is the only real ‘cure’ for addiction. How bad is Vicodin addiction? All addictions are bad in a general sense. To say that Vicodin addiction is more or less serious than an addiction to another drug is to discount the personal nature of addiction. Yes, Vicodin addiction is bad. It is bad enough to require professional medical help to beat it. How bad your addiction might be (if you abuse Vicodin) would be subject to a variety of factors. They include your medical history, how long you've been using, any other substances you use, and more. How can Vicodin addiction be cured? As previously stated, the only true cure for addiction is permanent abstinence. Vicodin addiction is no different. Treatments are focused around the dual goals of detoxifying the body and equipping patients to live the rest of their lives without Vicodin. A person who stops Vicodin use (without relapse) for a year or more is considered 'cured'. However, that state only lasts as long as the person continues to maintain abstinence. To that end, support group participation and private counselling are indispensable tools for preventing relapse. How can I help someone who is addicted to Vicodin? The best way to help a Vicodin addict is to offer love and support without enabling the addiction. You can provide a listening ear and a shoulder to cry on. You can seek out treatment options and then explain those options to your friend or loved one. You can even work with a therapist to conduct an intervention. The one thing you cannot do is force a Vicodin addict into treatment. Forced treatment rarely succeeds. Sometimes it makes an addiction problem worse.